Don’t haul your tank all the way to the store to have it drilled. 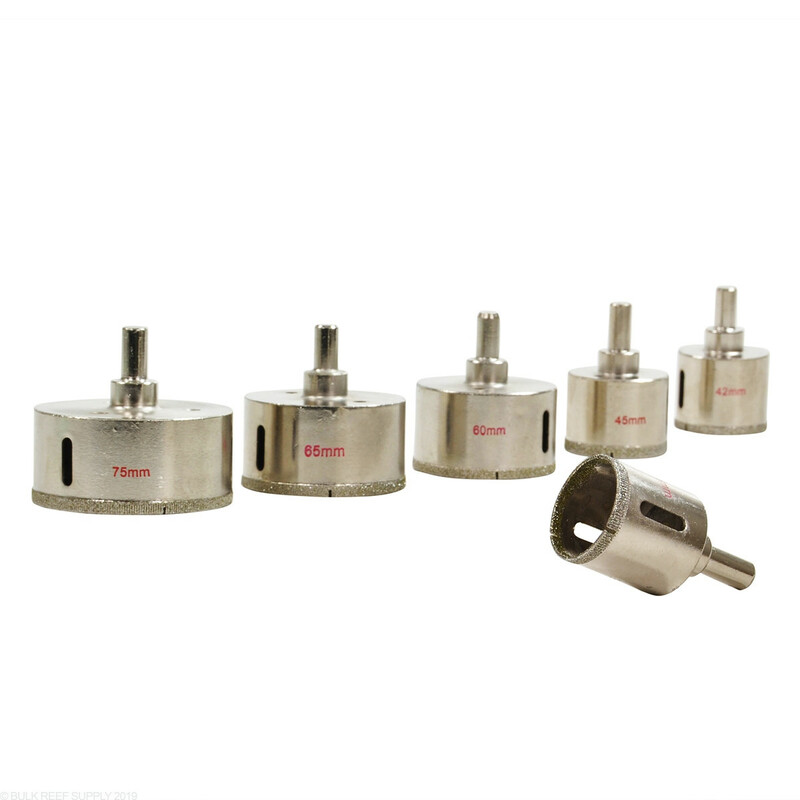 Use our diamond coated glass drill bits. Drilling glass is actually pretty easy with the correct tools. Diamond coated drill bits will allow you to drill a hole where ever you need in non-tempered glass for bulkheads, or any other plumbing your system desires. For drill bit and bulkhead compatibility please see Full Details below. 12mm Glass Drill bit works with our RO Float Valves. 30mm Glass Drill bit works with our 1/2" ABS Bulkheads. 35mm Glass Drill bit works with our 3/4" ABS Bulkheads. 42mm Glass Drill bit works with our 3/4" heavy duty SCH 80 Bulkheads. 45mm Glass Drill bit works with our 1" ABS Bulkheads. 48mm Glass Drill bit works with our 1" heavy duty SCH 80 Bulkheads. 60mm Glass Drill bit works with our 1.25" heavy duty SCH 80, and 1.5" ABS Bulkheads. 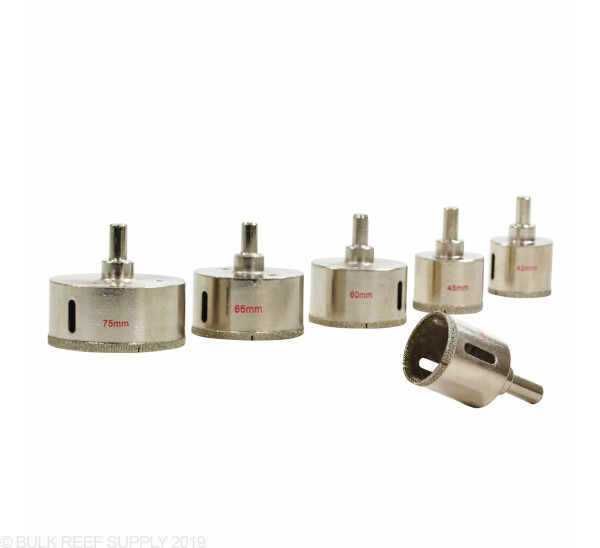 65mm Glass Drill bit works with our 1.5" heavy duty SCH 80 Bulkheads. 75mm Glass Drill bit works with our 2" ABS Bulkheads. 85mm Glass Drill bit works with our 2" Heavy Duty SCH 80 Bulkheads.